The Centers for Disease Control and the National Cancer Institute recommend you eat 5 servings of fruits and veggies per day. But let’s face it, that’s tough to do! Juicing is the best way to extract massive amounts of nutrients from vegetables and absorb them quickly into your body; without having to sit down and eat several pounds of vegetables per day. Let’s review the digestive process, shall we? When you chew food you are essentially juicing it in your mouth. You are breaking it down into liquid form, which can be absorbed into your bloodstream through your digestive tract. The substances that cannot be broken down by your teeth or by your digestive system, pass through. The better you chew your food before you swallow, the more of its nutrients you are able to absorb. Part of what I did to beat cancer was drinking eight 8 oz glasses of freshly juiced organic carrot and vegetable juice every day. My strategy was to eliminate all processed food from my diet and flood my body with vital raw nutrients; to give my immune system all the fuel and firepower it needed to heal itself. I got up every morning and made enough juice to last me throughout the day. I put it in air tight pitchers, and mason jars. That helps keep it fresh and potent throughout the day. I drank so much carrot juice I turned orange. Really orange. 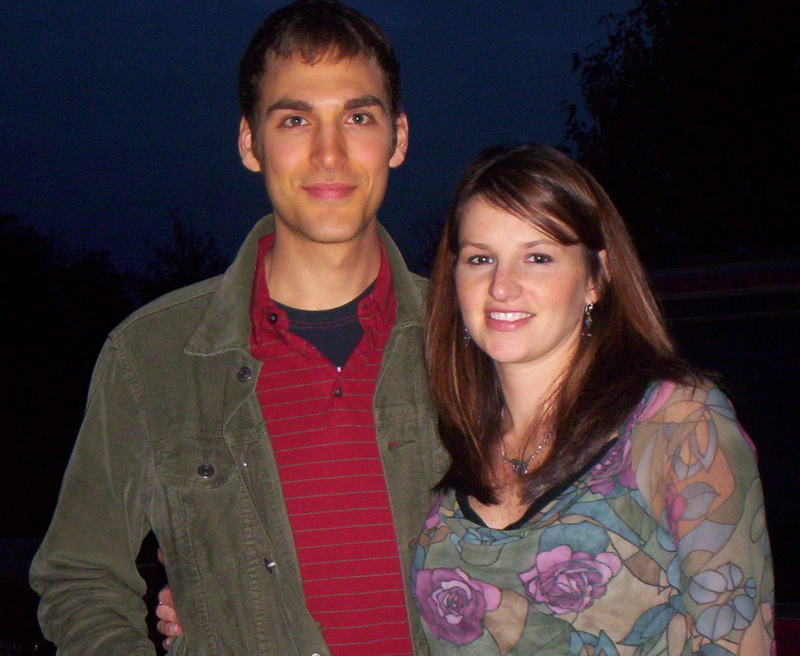 This picture was taken November 2004, Micah was nine months pregnant with Marin. This photo has not been retouched. I really was that orange! One nurse actually told me I was drinking too much carrot juice. Silly nurse, you can’t overdose on carrots!!! Note: Fruit juice is very high in concentrated sugar and really not that good for you, especially when you are sick, so I didn’t drink it. A good rule of thumb is to Eat your Fruits and Juice your Vegetables. Carrot, Celery, Beet and Ginger : My basic formula is 5 Carrots, 3 Celery Stalks, 1/4 of a Beet (root and top), and a small piece of Ginger Root. But don’t get too hung up on the formula. The type of juicer you have will determine how many carrots and celery stalks you’ll need to juice to make a glass. And there’s a million different juice combinations out there, so have fun experimenting. Watch the ginger, it’s strong. Straight carrot juice is delicious by itself, but the beet, celery and ginger balance out the sugars in carrot juice and add some powerful extra nutrients. Also make sure you’re buying Organic produce. The last thing you need is chemical pesticides in your juice. I recommend you start with straight carrot juice. Add the other stuff in small amounts until you get used to the taste. Even if you don’t like the taste it doesn’t matter, just down it. You’re not drinking it for the taste. I also like to mix in an alkalizing green powder like Perfect Food Raw . It’s made with 35 Nutrient-Dense Raw Organic Greens, Sprouts, and Veggies and it’s rich in Chlorophyll, Trace Minerals, Antioxidants, Enzymes, and Probiotics. Love it. The only book on juicing you’ll ever need is The Juicing Bible . It’s got tons of detailed information on the nutrient content and health benefits of different veggie juices, and lots of combinations to try. And if you’re serious about juicing, you’re gonna need a good juicer. I recommend The Champion Juicer . I’ve been using one for years. It has a heavy duty commercial motor and is way easier to clean up than most juicers. And believe me, easy clean up will make all the difference between you making juicing a part of your regular routine or not. A cheaper alternative is The Juiceman Pro . Want to know what else I did to beat cancer? Read my posts on The Cancer Fighting Salad, and The Anti-Cancer Smoothie. Post your juicy questions and comments below! Retweet and click that “like” button down there if you liked it! Hah! Yeah, V8 Splash is a fail. Tastes good, but it’s pasteurized and full of sugar. I used to drink it and think it was healthy before I got cancer. A chum e mailed this link the other day and I will be excitedly awaiting your next content. Keep on on the top quality work.